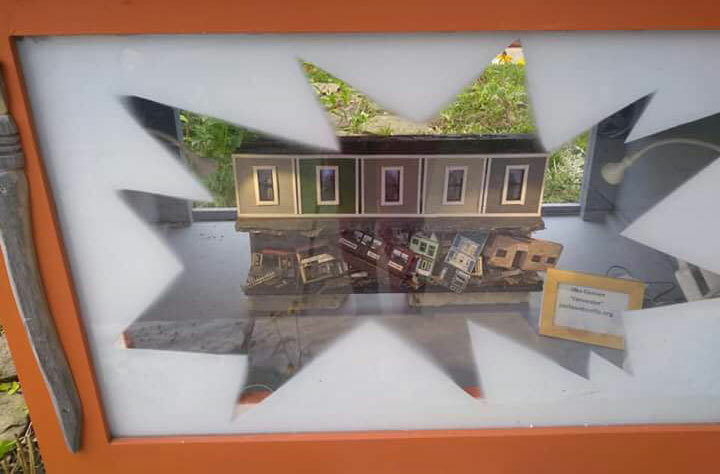 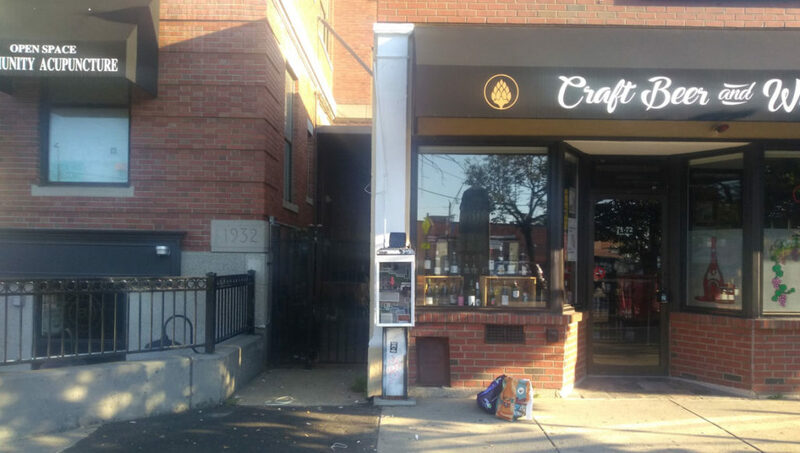 “Katie Gradowski called them ‘displacement dollhouses,’ which I thought was kind of cute,” Somerville artist Dina Gjertsen tells me about the dioramas she’s been making lately. 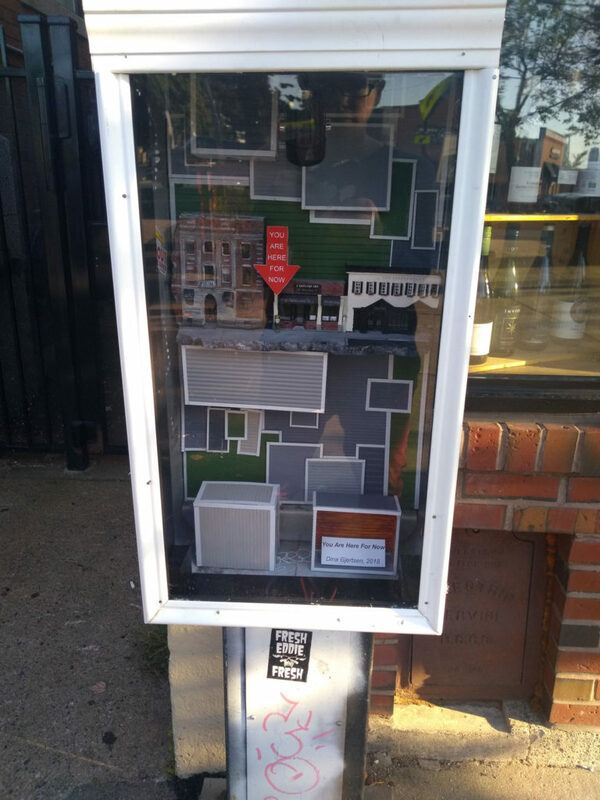 At Martha Friend’s Friend-Smithsonian Tiny Museum—a display case situated on the lawn out front of 135 Highland Ave. in Somerville—Gjertsen recently installed her diorama “Conversion.” Models of P.A.’s Lounge, Reliable Market, J.J. Sullivan Plumbing & Heating Contractors and other buildings in Somerville’s Union Square are scattered in a jumble, crushed under a pristine row of bland condos. 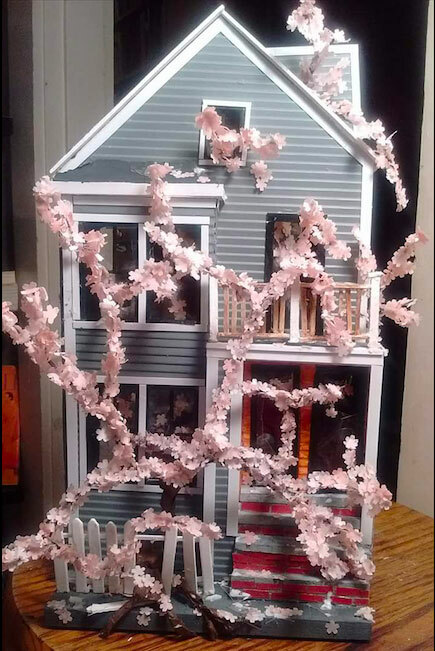 Dina Gjertsen’s model of a condo overwhelmed by a cherry tree. 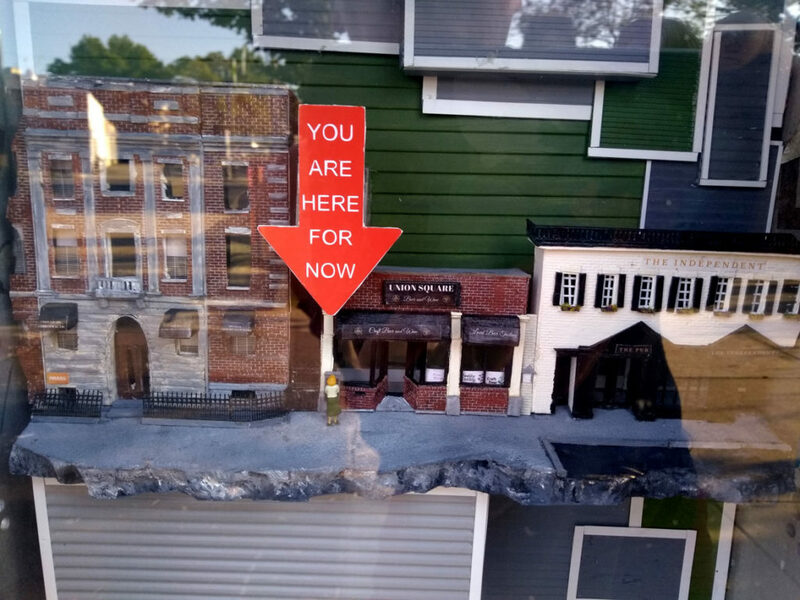 Dina Gjertsen’s “You Are Here For Now” in Somerville’s Union Square.